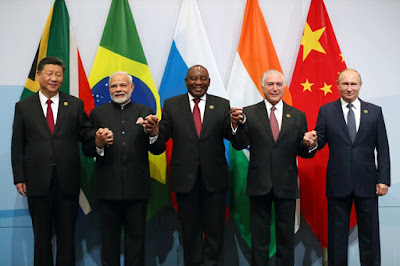 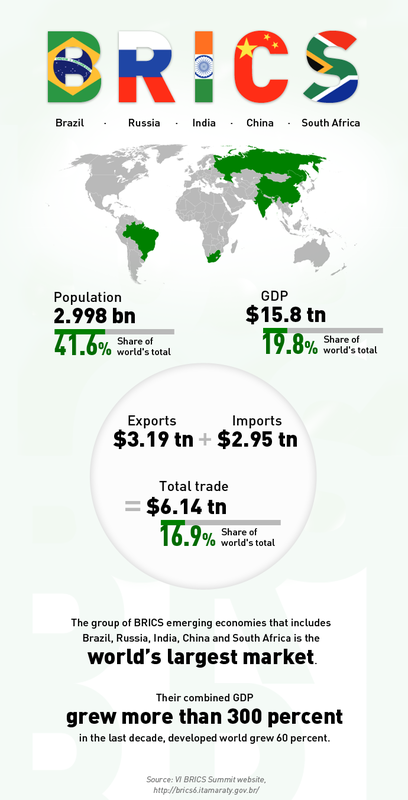 The 2018 BRICS summit was the tenth annual BRICS summit, an international relations conference attended by the heads of state or heads of government of the five member states Brazil, Russia, India, China and South Africa. 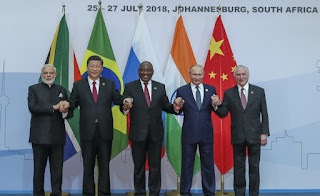 The summit was held 25–27 July 2018 in Johannesburg, South Africa, the second time the South Africa has hosted the summit after the 2013 summit. 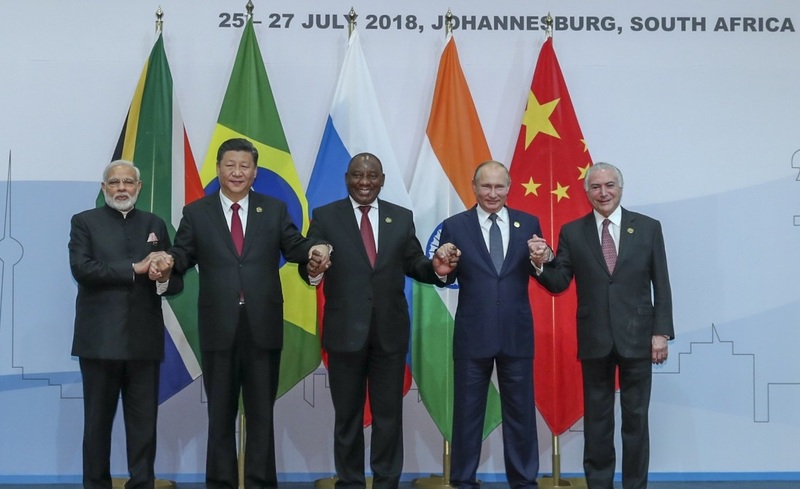 China's President Xi Jinping, Indian Prime Minister Narendra Modi, President Cyril Ramaphosa, Brazil's President Michel Temer and Russia's President Vladimir Putin pose for a group picture at the BRICS summit meeting in Sandton on July 26, 2018.